Are you getting every deduction and credit you deserve? A lot of people aren’t, because they either don’t care to look for them (which is a big mistake because they’re leaving their money on the table), or because they don’t have the right advice when it comes to preparing and filing their tax returns. 6. Medical transportation expenses including tolls, parking, and mileage for trips to health facilities, doctor’s offices, laboratories, etc. The tax filing deadline is fast approaching. Do you need help with preparing your taxes and filing them? Are you confused when it comes to which forms are applicable to your situations and which are not so that you know what to fill out? 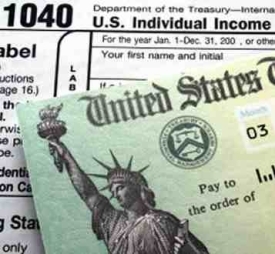 Do you have questions about which deductions you qualify for? Are you wondering whether or not you’ll get a refund this year? You can certainly get the answers to these questions if you use an online tax preparation program. These programs have evolved to the point where they can pretty much guide you every step of the way, from making sure you’re filling out the proper forms, to giving you much-needed information and guidance. Preparing your taxes online makes it easy to find all the right tax forms you need, both for federal and state tax purposes. As mentioned previously, modern tax software is increasingly interactive, and provides one of the best ways to make sure that your taxes are done right. These are additional tools that you can use in your tax preparation process. You will be able to estimate your deductions beforehand, thanks to the various features that are built into the software: calculators to estimate your refund or tax bill, tools to help minimize how much tax you’re require to pay, and so on. Make sure that you get all the tax breaks that you qualify for! So you’re done with filling out all your tax return forms? Well you’ve done 99% of the work. You don’t even have to print it out and mail it, since modern tax software packages all offer the option to file electronically. The interface will even provide you with a notification that the IRS has indeed received your return. Using that option also allows you to get your refund faster, especially if you choose to have it deposited directly into a bank account. You can get your money in 10 to 16 days from the day you file. Armed with this knowledge, you can certainly make sure that this year is the one where you get all the deductions you deserve and get your money as quickly as possible.